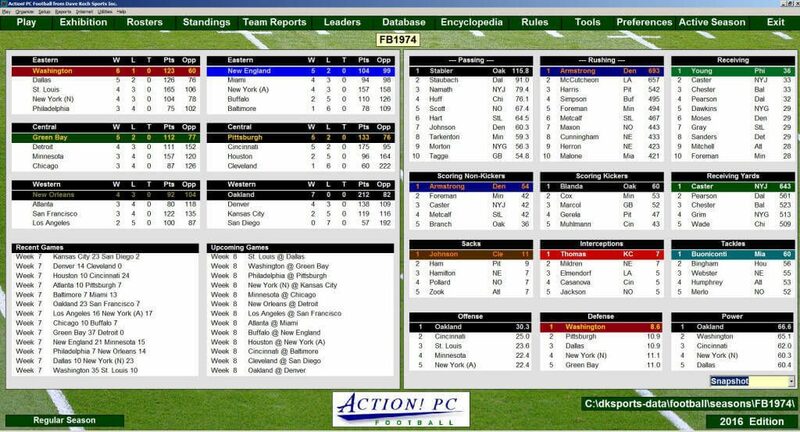 Redesigned Opening Screen: Choose from display options that include combinations of player statistics, team leaders, and much more! 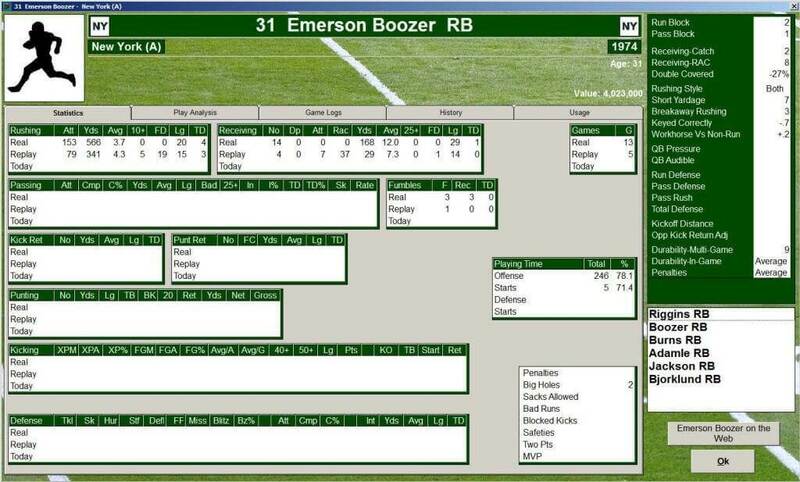 All opening screen displays are automatically linked to the appropriate, player, team, or box score! The Player Form has been expanded in both functionality and appearance! All statistics are on one page for easy access. Ratings are displayed in one convenient and easy to read display box. A player injury history report has been added to the game logs tab. This report lists every injury that occurred for the player during the season. A new history tab links into your encyclopedia to display complete career league and replay stats! The powerful new usage tab allows you to customize playing time based on specific game situations. New Revised and Expanded Injury System: Multi-game injuries more closely mimic real life roster usage and are more realistically and randomly spread throughout the season. If you have built a roster with proper depth you will find yourself less likely to use players out of position. New Fatigue System: Similar to our basketball and hockey games, we've added a 100 point meter system to help monitor fatigue level and rest players as needed. The fatigue meter is especially useful for rotating defensive linemen and skill position players. The new player usage settings can automate player rotation to both lessen fatigue issues and put players on the field in game situations that best meet their talents. The game system will automatically pull and replace players from the lineups based on your settings! New Programmable Coach Options include additional defensive formation overrides, coverage options, and more.